Printed from http://www.bodytalksystem.com//learn/news/article.cfm?id=934 on Apr 22, 2019. There were (and are) literally dozens and dozens of customizable templates of Calendar Magnets on Vistaprint's website, where you can add and rearrange pretty much anything - pictures, logos, even as many textboxes with the capital letter "O" in any font size that you want... and the ability to position these "O's" anywhere on the magnet that strikes your fancy. And so what I did as I customized my magnet was simultaneously play in my MindScape workshop... I ended up adding 24 textboxes with just one big "O" in them, and these "O's" were positioning themselves around the dates throughout 2014 that felt like awesome times to invite local Access graduates, twice a month, to gather at my office to enjoy tapping out the BodyTalk Access routine together and tell Fast Aid stories! The dates ended up being one Thursday per month and one Saturday per month. 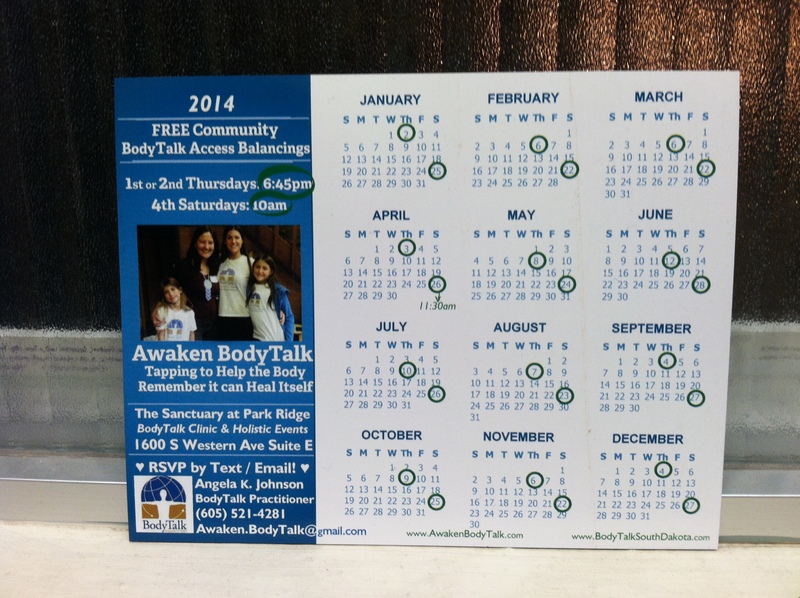 The calendar heading began to display "FREE Community BodyTalk Access Balancings", along with my office address, phone-number and email to RSVP, our state matrix website, as well as indicating that the Thursday gathering time was 6:45pm and the Saturday gathering time was 10am. But it still didn't stop there. So that was the vision! I was about to click "Submit" on my order, but stopped. The magnet was just... What, When, Where and 24 "O's" around some dates on a calendar. 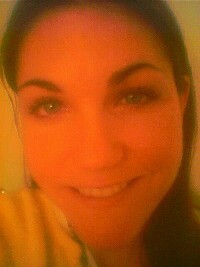 Lol, it needed a *picture* - and I knew just the one! It had been taken just one month prior, after the November, 2013, Access class held on the other side of the state... of my daughters and myself in our BodyTalk T-shirts with the fabulous BodyTalk Access Trainer, Lisa Sullivan. With her permission (thank you, Lisa! ), I added this bright, shiny picture that held all of my heart-felt intentions plus the amazing energy of the Access class she'd just taught. I cropped the picture to fit perfectly, and now the 2014 Calendar Magnet was ready for order.